Hampshire County has the highest proportion of women of any county in the state, and yet for years has been represented in the Statehouse mostly by men. With the retirement of longtime Amherst Rep. Ellen Story in 2016, this has been especially true. But this year’s elections could alter that in the extreme. There are credible female candidates running for four of the state House seats representing the bulk of the county, and more than that, they might all win. For Cynthia Brubaker, who is 75 and on the board of directors of the League of Women Voters in Amherst, it’s about time. A confluence of events – the death of longtime Northampton Rep. Peter Kocot, the retirements of Stephen Kulik of Worthington and John Scibak of South Hadley, and the decision of Amherst Rep. Solomon Goldstein-Rose to leave the Democratic party and run as an unenrolled candidate – has led to women running for all of those seats. Democrat Marie McCourt, the assistant director for the after school program for the Collaborative for Educational Services, is running to replace Scibak. 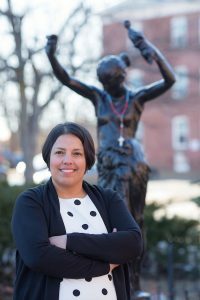 Democrat Mindy Domb, executive director of the Amherst Survival Center, is seeking Goldstein-Rose’s seat. Kocot’s district director, Diana Szynal, and the director of the Pioneer Valley Women’s March, Lindsay Sabadosa, are both running as Democrats for Kocot’s seat. Kulik’s retirement has brought out five female Democratic candidates: Journalist Kate Albright-Hanna, Franklin County Chamber of Commerce Executive Director Natalie Blais, farmer and lawyer Christine Doktor, Franklin and Hampshire County Assistant District Attorney Elizabeth Swihart, and Francia Wisnewski, who is chairwoman of the Hampshire and Franklin Commission on the Status of Women and Girls. 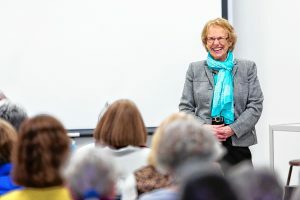 Many have lamented the loss of experience of Scibak, Kulik, and Kocot, all popular legislators, but for others that feeling is mixed with excitement over the potential for better representation for women. Once a person gains office, they become the incumbent during the next election, and the incumbent always has the advantage, according to Gauthier. That’s why few people challenged any of the longstanding representatives, and none did so successfully, she said. The League of Women Voters has been working on getting women into politics and elected office for a long time and that mission continues. 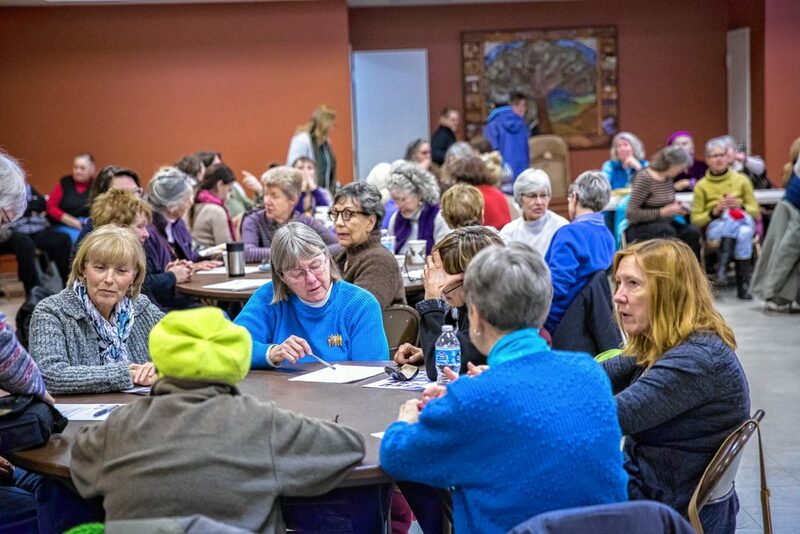 Earlier in March, the Franklin County League of Women Voters held a forum called “Run for Something,” encouraging their mostly-women members to inform themselves how to run for office. That’s important, as only 25 percent of Massachusetts’ State Legislature is made up of women, according to the Rutgers Center for American Women and Politics. That’s just behind the national average, and puts Massachusetts at a state rank of 27 with regard to female representation, according to data released this year by the center. Brubaker said the League of Women Voters worked as part of the women’s movement in the 1970s. But lately, in part due to the dual motivators of Hillary Clinton failing to become the first woman president and her being beaten by Donald Trump, who bragged about grabbing women without their consent, many women have been activated politically – and that includes running for office, Brubaker said. Marie McCourt, 45, of Granby, said she has been working up to a run for state government for 20 years, doing advocacy work with both Ellen Story, who used to represent her part of Granby, and then with Scibak when the districts changed. But for many of those years, she lacked the confidence to come out from behind the scenes. Women tend to be judged more on how they look, and on whether they have been a mother, and if they are young or old, she said. And women already often have self-confidence issues even before subjecting themselves to the public scrutiny of a candidacy. One of the things that helped give her the confidence was enrolling in the Leadership Institute for Political and Public Impact (LIPPI) program, run by the Womens Fund of Western Massachusetts. McCourt graduated from the program in 2012, which she said gave her the tools and confidence she needed to deepen her political work. The following year, she ran unsuccessfully for Select Board in Granby. 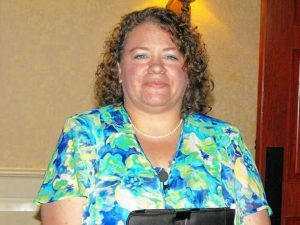 In 2014, she was elected to the town’s School Committee, and was re-elected in 2017 before choosing to step down earlier this year due to work commitments. She said LIPPI helped her by teaching her how to raise money, how to speak in public well, how to be a community leader, and by connecting her with other women. A fellow LIPPI graduate, Kristen Elechko, is her campaign manager. “So many women are are supporting other women in this time in history,” McCourt said. 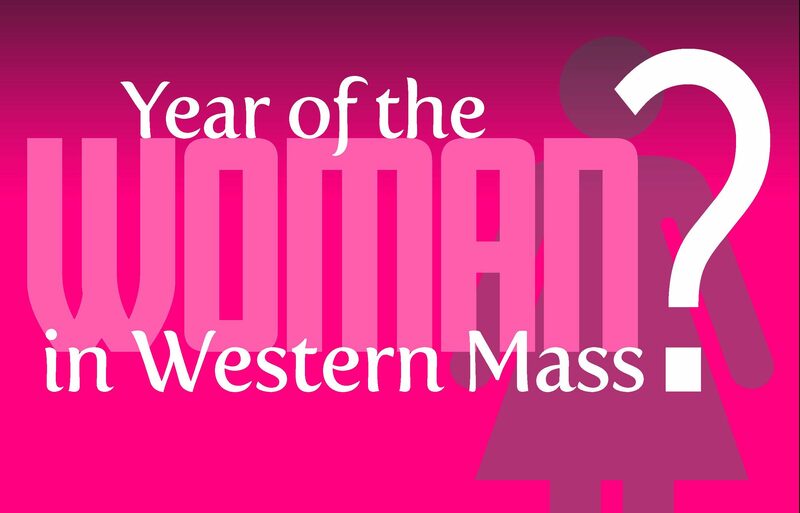 Program Officer for Civic Engagement and Communications Ellen Moorhouse, 28, manages the LIPPI program at the Women’s Fund of Western Massachusetts, and says the people who take the class run the gamut. “It’s truly as broad and varied as they come: from formerly incarcerated women to current CEOs,” she said. The course begins in September and follows the school year, and the students graduate in June. The class meets for one Saturday per month, and can be used for either undergraduate or graduate credit, according to Moorhouse. Nearly 250 people have graduated from the program. “I think LIPPI is a powerful community program that can change the landscape allowing leaders to come into the pipeline,” she said. The program costs $2,500, but there is financial aid and grants offered, Moorhouse said. Applications for the LIPPI program open on April 2, she said. They have run the class seven times before and this will be the eighth, she said. Ellen Story represented the Third Hampshire District for nearly 25 years, and for much of that time, when the Western Massachusetts delegation would get together, she would be the only woman present. “Women’s political participation has profound positive and democratic impacts on communities and citizens lives and helps democracy deliver,” she said. Story is supporting women in the races: Mindy Domb for her former seat, Marie McCourt for Scibak’s seat, and Natalie Blais for the seat now held by Kulik. For Kocot’s seat, she had good things to say about Diana Szynal, whom she has worked with, and Lindsay Sabadosa. Story’s own long legislative service was something she was reluctant to begin, she said. “It was never something that I had thought of to run for office,” she said. But when the legislative seat unexpectedly opened up in 1990, she wasn’t satisfied with the candidates who were running, all of whom were men. While she was running in 1991, the Anita Hill hearings over sexual harassment by nominated Supreme Court Justice Clarence Thomas were playing out. That year was known as The Year of the Woman, and female senators in the U.S. Senate doubled following those elections – from two to four. 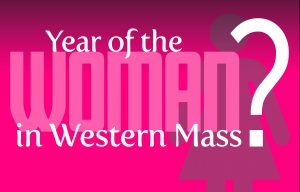 Story said she believes the Year of the Woman moniker can apply to this year, as well. It also has to do with Trump, she added. Diana Szynal, 50, of Hatfield, has spent 16 years as Kocot’s district director, and says for her, experience is the most important aspect when looking at a candidate. She has positive feelings that so many women are running, but that is also tempered by Kocot’s sudden death earlier this year. Deciding to run was difficult for Szynal, who was processing both the loss of Kocot and what she had to offer the district as someone who knows it well. 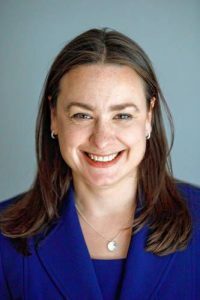 Szynal said she wanted to be a person who stepped forward as a qualified woman candidate running for office, especially considering the loss of experience in the Hampshire county delegation with Kocot, Kulik, and Scibak all out. Lindsay Sabadosa, 37, of Northampton, who is running against Szynal, said she had no intention of running until Kocot died, but she said she wants as many women elected as possible. Sabadosa is on the board of directors of Emerge Massachusetts, an organization with the mission to increase the number of Democratic women leaders. The program exists in 22 states and has provided training sessions for more than 2,500 women. “It takes longer for women to decide to run, myself included, and they do not have a structure that supports them,” she said. Sabadosa pointed to the fact that in Massachusetts, candidates cannot pay for child care expenses as part of their campaign funds, a dynamic that places a further obstacle in the way of many women candidates. She is encouraged that not only are women running, but that they are getting leadership positions, as well. 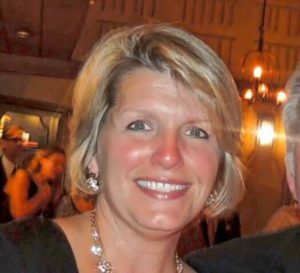 She said she was pleased to see that Harriette Chandler is now the acting president of the Massachusetts Senate following Amherst Sen. Stan Rosenberg stepping down amid an investigation of improper behavior by his husband, Bryon Hefner. She is also pleased to see that not only are women running for open seats, but that some are challenging male incumbents. She said she admired Tahirah Amatul-Wadud, a candidate for U.S. House of Representatives who is a black Muslim woman. She is challenging Richard Neal in a race to represent the First Congressional District in Massachusetts, which consists of Berkshire County, Hampden County, and parts of Hampshire, Franklin, and Worcester counties. Kulik’s retirement has attracted a crowded field of mostly women running to replace him, and that’s great according to journalist Kate Albright-Hanna, 42, of Huntington, who is one of the five female candidates in the race. Albright-Hanna was born in 1975, yet another year known as the Year of the Woman. She said her grandmother wrote her a letter when she was born hoping that her life would yield more opportunities for women than hers had. Albright-Hanna launched Tarbell Industries to celebrate Ida Tarbell and her fellow muckraking journalists. Tarbell was a a strong female leader in her field of journalism, Albright-Hanna said. For Albright-Hanna, who is running with three children, aged 2, 4, and 13, it is important to have moms in the Legislature. She believes that more moms would lead to action on universal pre-kindergarten, paid family leave, and gender pay equity. “The economy is set up for years ago when women stayed home and men went to work,” she said. Francia Wisnewski, 41, of Montague, is also running for the First Franklin District. She is not only a woman, but a woman of color. Wisnewski was one of the people trained by Emerge Massachusetts, and said the program helps. Natalie Blais, 41, of Sunderland, said she hopes her decision to run for the First Franklin seat inspires her children, who are 10 and 11.